The moment you step out of school, there are plenty of forces pulling you from all directions. This is a critical and often confusing time when you have to make important educational choices that will pave the way for your professional lives and often determine the course of your future. You are surrounded by pressures of all kinds—peer pressure, the pressures of family expectations, apart from predicaments within you. There are a few options (considered “traditional”) for 10+2 students. These include fields such as engineering, medicine, and law. There are many reasons for doing a traditional course such as these, the most important one being that the field excites you! There are few things more rewarding than doing a job that you enjoy and have the skills for. As times change and the world demands more nuance and detail in jobs, the options for what you, as a 10+2 student, can study have also expanded. You are certainly aware of courses including BBE, BBA, hotel management, media and communication and many more. Let’s take a closer look at BBA as a study option. Those who want to acquire professional management skills consider BBA as an option, as the common next step is a master’s degree in management and business administration (MBA). The end goal with an MBA is, of course, a corporate job with good growth prospects. Many colleges today offer BBA degrees. In a sense, supply has outstripped demand—an MBA is no longer an option but a necessity for many BBA students, who don’t get as many or as good job options without further education. 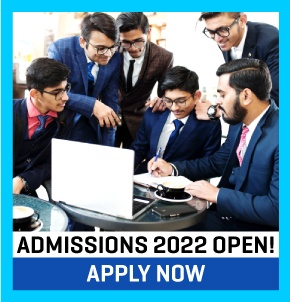 The large number of seats for a general BBA course in India also plays a role in this, as the quality of education often dips when most colleges offer an identical course with very little differentiation. There is thus a lowering of the education quality bar. Specialized BBAs + Are there any benefits to specialization? A specialized degree, as the name suggests, is not broad-based. While a BBA is a general management programme that provides generic knowledge of management subjects, there are today new-generation, specialised BBA courses that provide technical knowledge and relevant industry-ready skills. This instantly enhances your employability from day one, resulting in better starting salaries and faster career progression in the days to come. While a candidate with a generic BBA requires rigorous on-the-job training, if you are a candidate with a specialised BBA you hold a natural edge, as you can hit the ground running. This is a big plus in the books of employers desirous of candidates who can show immediate results. Given the benefits of specialization, there are today courses that offer focus and specialisation at the BBA level so that students are ready for the job market when they graduate. Specialisations on offer today are in the areas of digital marketing, airport management, real estate management, shipping, healthcare management, retail, supply chain and logistics, and travel and tourism, to name a few. A BBA in digital marketing teaches concepts such as search engine optimisation, social media marketing, email marketing, data analytics, mobile marketing and web design. Job opportunities exist in new age companies and start-ups dealing with internet technologies, social media, analytics, digital promotions and online portals. The scope of a BBA in supply chain management includes management of the entire logistics chain from human resources, inventory, cost and materials, to transportation, development and delivery, apart from understanding of sourcing, purchasing and distribution planning. A specialization in retail management covers topics such as customer service, marketing, store management, quality, buying, merchandising, inventory control and operations. Retail companies, both offline and online, are always on the lookout for candidates with this knowledge. A BBA with specialization in real estate, which prepares you for fields such as valuation, real estate development, development management, project management, investment, finance, property management and real estate research and consulting. Courses of study include urban design and planning, real estate laws and regulations, investment and finance decisions and real estate management. Students who study BBA in travel and tourism are poised to take advantage of the job opportunities in tourism boards, travel agencies, online travel firms, resorts, airlines and cruise companies. The curriculum covers travel management, communication, history, heritage, tourism policy, and inter-cultural understanding. Choosing an undergraduate degree is not easy. Specialization in an industry is simply one more among the many questions to be answered when you are taking the very important decision of choosing your course. It helps to keep in mind that specializing in an industry that is growing and is poised for further growth will ensure that your career growth does not stop. A specialized BBA also makes you-industry ready. So, if you can combine your domain knowledge with flair and passion for the industry of your choice, a whole window of opportunities awaits you. You not only become employable early in the game, you also sign up for the long haul. All the best for your new life!